The USN8300 LTE uplink controller is used in cellular network base-stations. 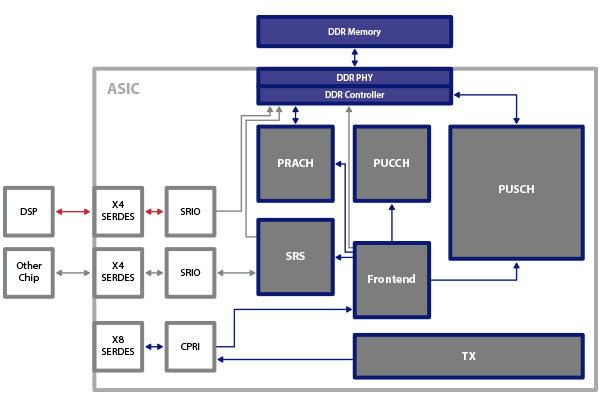 An external DSP may control the IC via serial RapidIO (SRIO) interfaces (red arrows). And there are 8 Common Public Radio Interface (CPRI) ports which transfer digital data. The blue line shows the main data path of this controller.